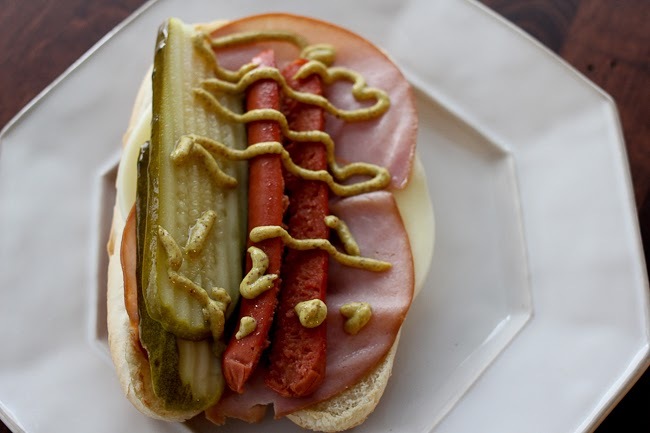 We used sliced ham, provolone cheese, spicy mustard and Claussen pickles. It was so good! You can't even tell there is a hot dog on there, but we added cheddar cheese, sauteed onions and mushrooms, cherry tomatoes and A1 steak sauce. A definite winner, too. 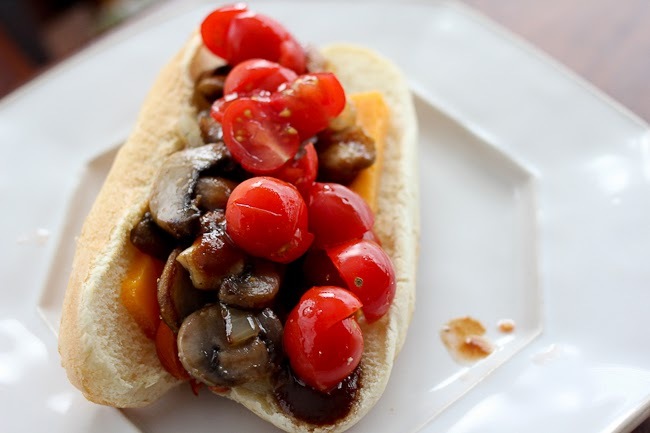 So, if you're craving a hot dog with a twist, these are two great options! And, since it was cold yesterday, and I don't know how many more cold days we'll have this Winter, I made a batch of my cousin's green chili stew. 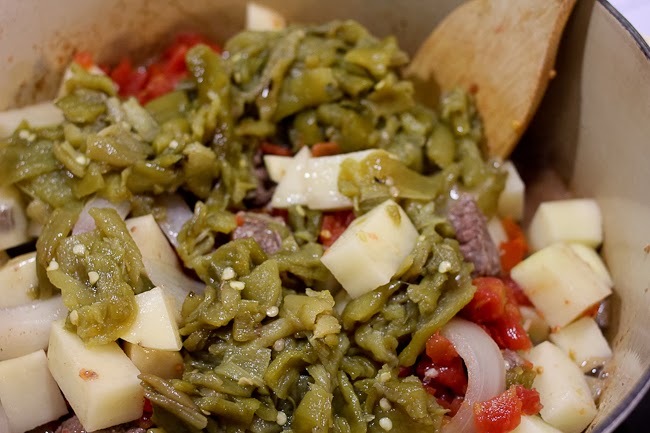 There is just something about fresh Hatch green chili that makes this recipe incredible. I love hotdogs … I just wish they weren't so processed or I would eat them a WHOLE lot more than I already do. :) Glad I stumbled upon your blog! So glad you tried and liked it! Sauteing the Steakhouse dog sounds even yummier! And your chili stew?? Looks delicious! Recipe, pls? My mom gave us a cookbook "The Ranch Cafe Cookbook" and everything calls for Hatch chiles, but they don't exist here in Illinois! What would be a good substitute?